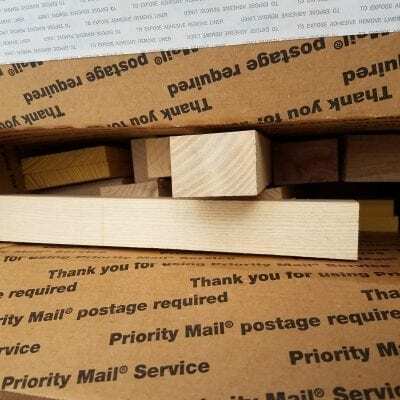 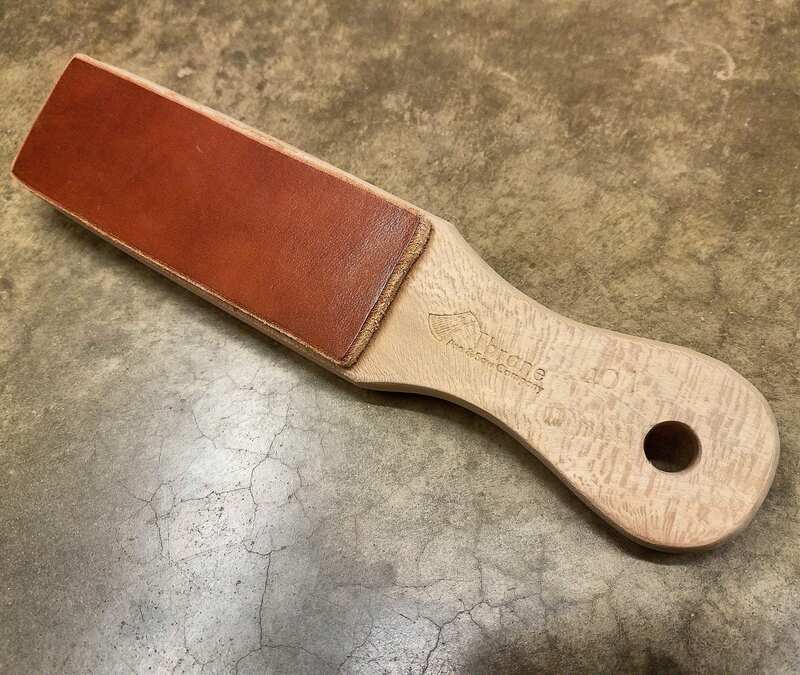 Your very own handmade strop made with your choice of leather color and wood type. 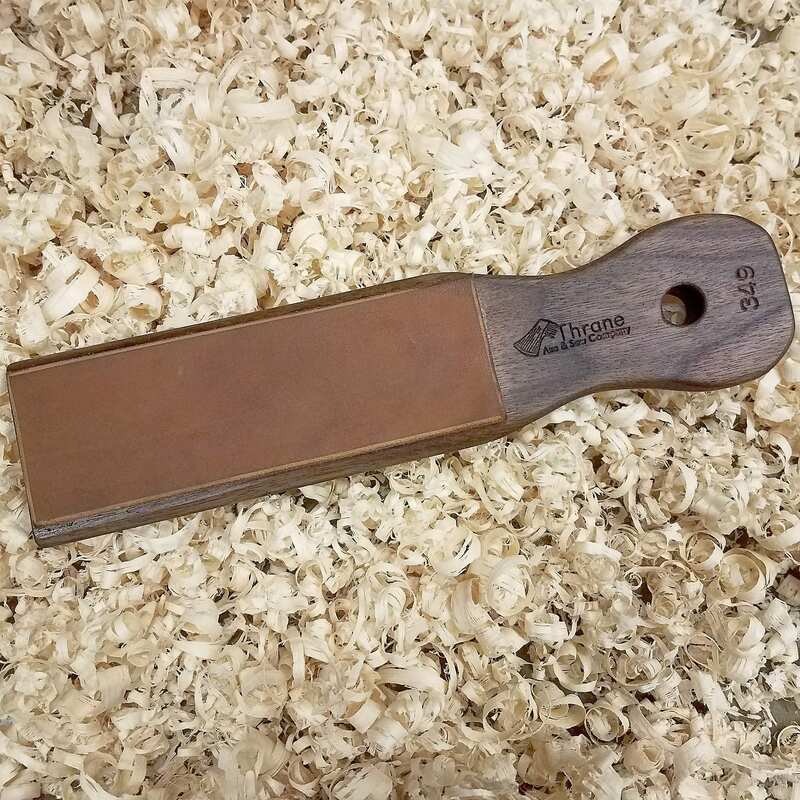 Perfect for the final touch up sharpening jobs on all of your edge tools. 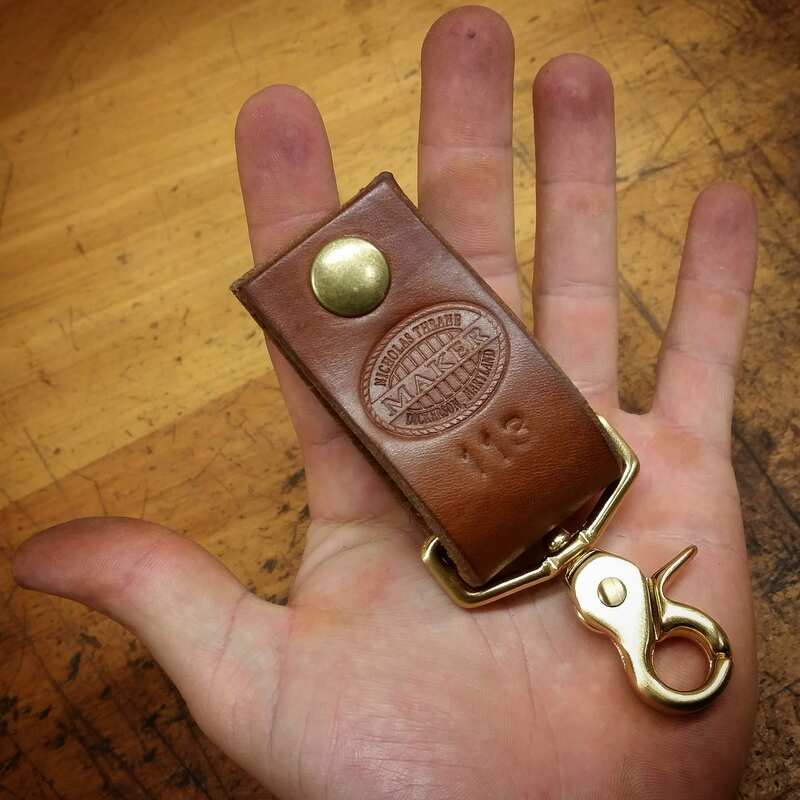 Made with a 1/2″ hole to allow for easy hanging on a wall or to be used with a leather strap for more control. 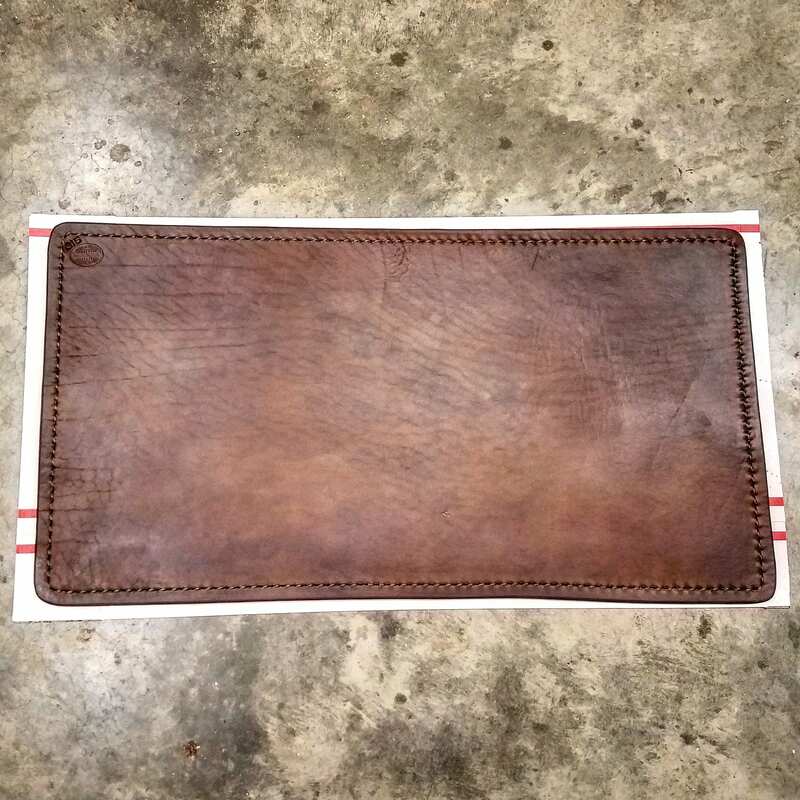 Likely to last a lifetime, while the strop can be sent back to us for leather replacement after heavy usage in the future. Lastly, each strop comes stamped with its very own individual number that is cataloged for future reference.